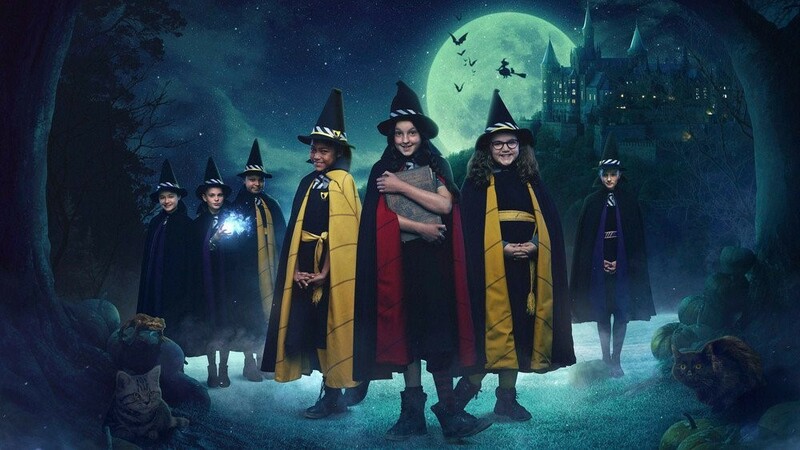 Last year the popular CBBC programme “The Worst Witch” adapted from the children’s books written by Jill Murphy, was commissioned for a second series and the film crew where on the lookout for a location suitable to be dressed as the school assembly hall. 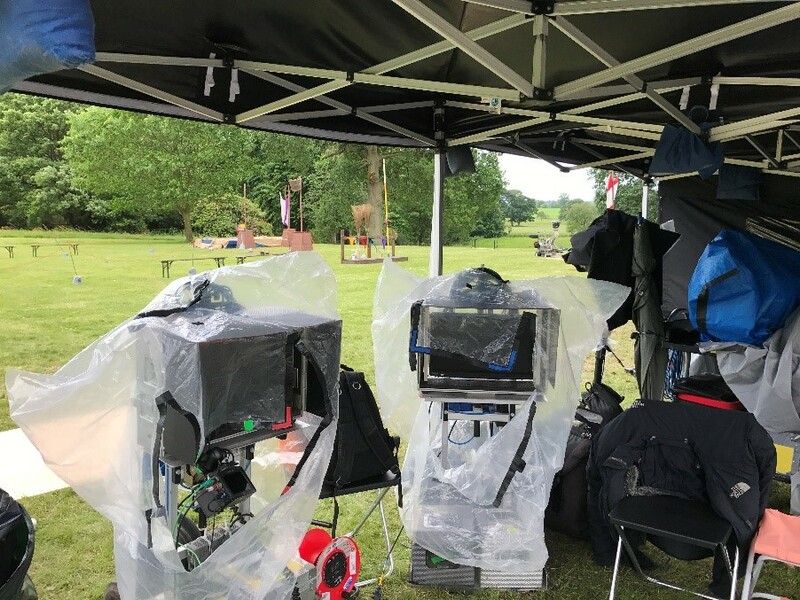 Series 1 was filmed in several locations, including Tatton Park and Peckforton Castle, but with new stories to be told some new settings were needed. It all started when we were approached by a location agent who gave us a quick brief on what they were looking for. 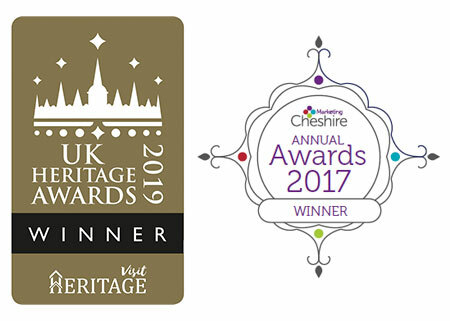 With a minstrel’s gallery – Yes, we’ve got 2 of those! 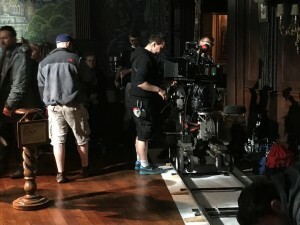 Before we knew it we had an entire film crew filming 6 episodes for the new series. Turns out Adlington Hall had many locations they were looking for, not just the assembly hall. The director also fell in love with the outdoor spaces and our quirky historic corridors and fantastic big doors. 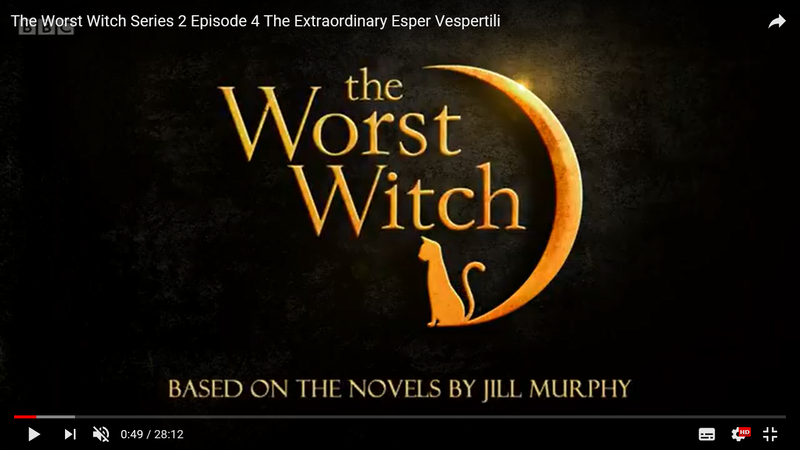 The Worst Witch is a fantastic and ambitious re-imagining of the much-loved Jill Murphy books about Mildred Hubble, a seemingly ordinary girl who is catapulted – quite literally – into a whole new world of magic. 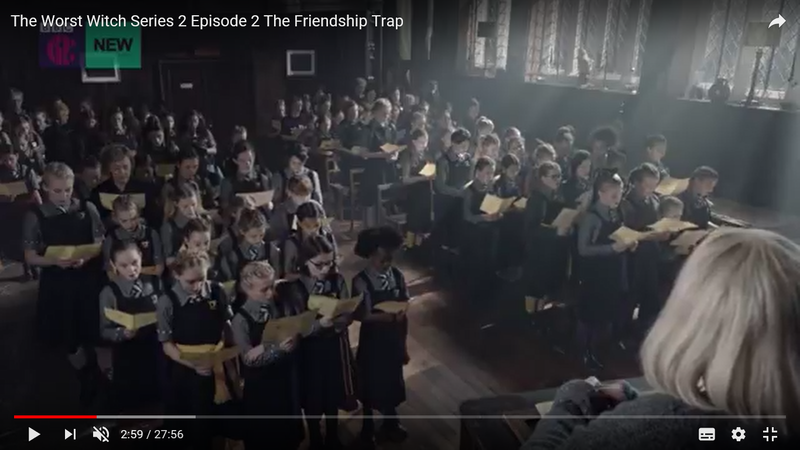 Episode 2 – The Friendship Trap. 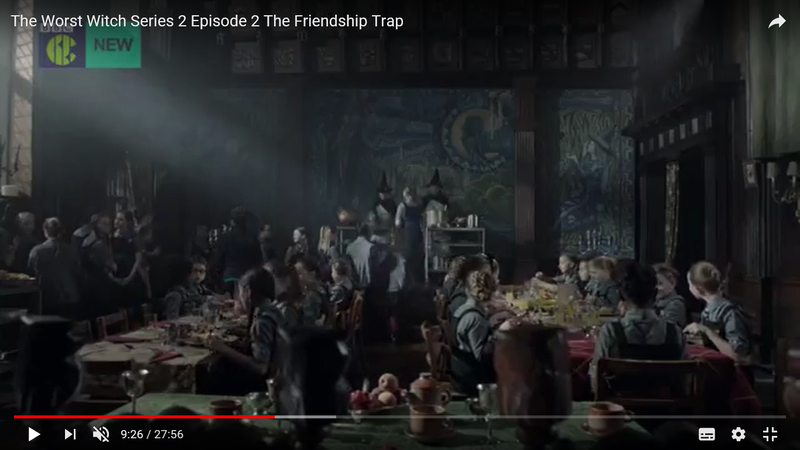 In this episode Adlington Hall was dressed as the lunch hall for the witches and Mildred and Ethel were magically joined together. 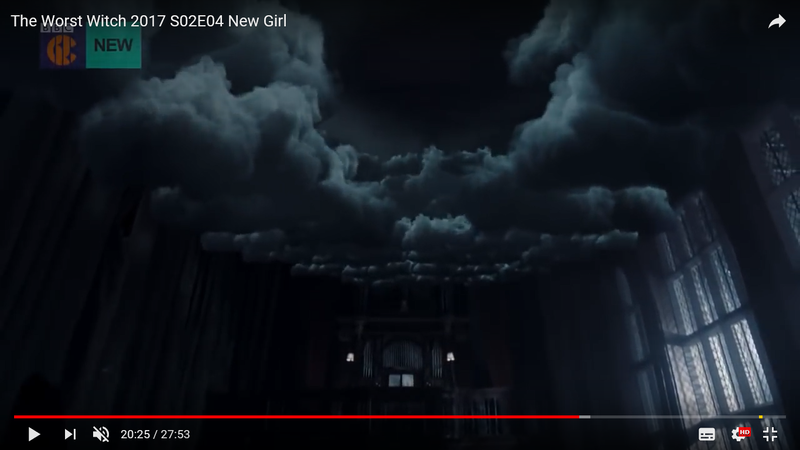 The hall was also dressed for morning assembly in this episode. 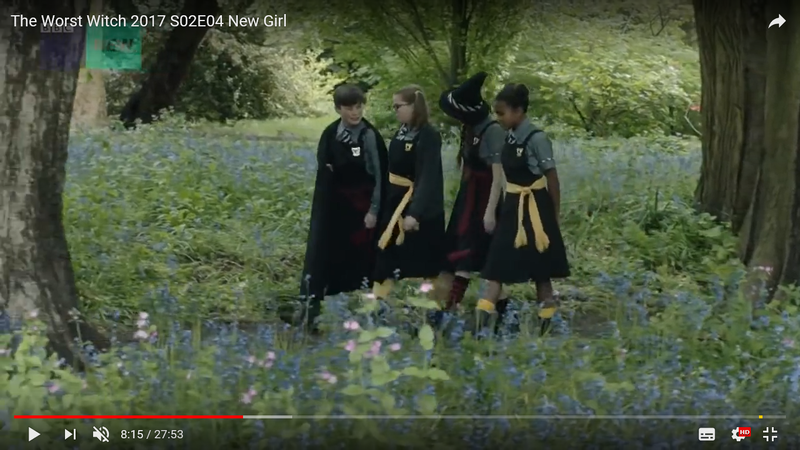 Episode 2 The Worst Witch – Screen shot taken from You Tube, filmed in the Great Hall of Adlington Hall. 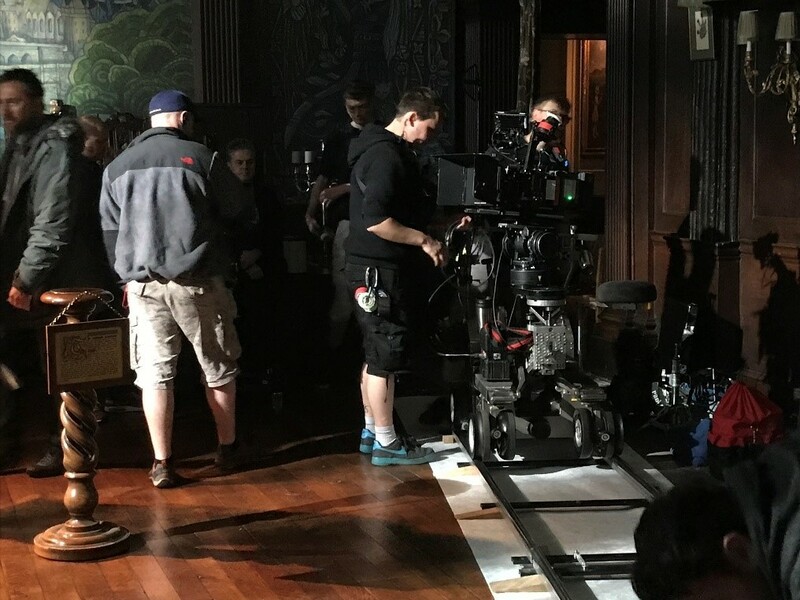 Behind the scenes fun fact: Because the same space is used for different settings i.e. assembly hall with rows of chairs, lunch hall with big dining tables etc, all the scenes which feature the Assembly Hall are filmed at the same time. This means that the story appears to jump about a lot and the actors need to try and remember their lines from different scenes but it all makes sense when it’s edited back at the studio. Episode 3 – Ethel Everywhere showed lots of Adlington Hall. 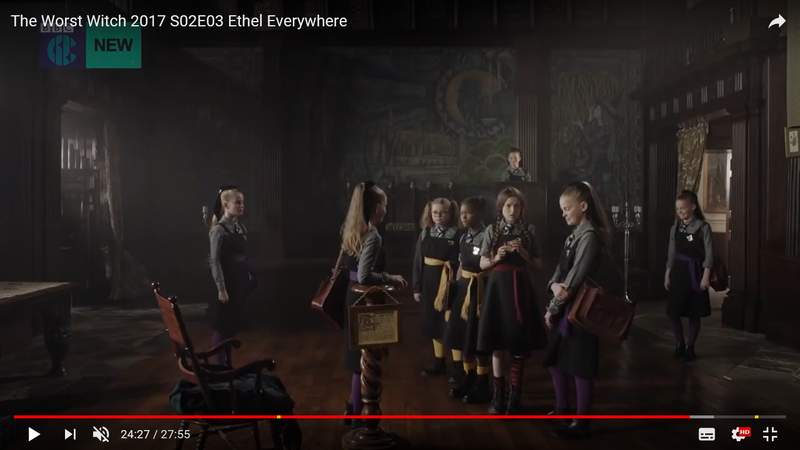 In this episode Ethel has cloned herself into 5 different versions. Mildred finally realises what has happened in the Hall and manages to work out which is the “real” Mildred. 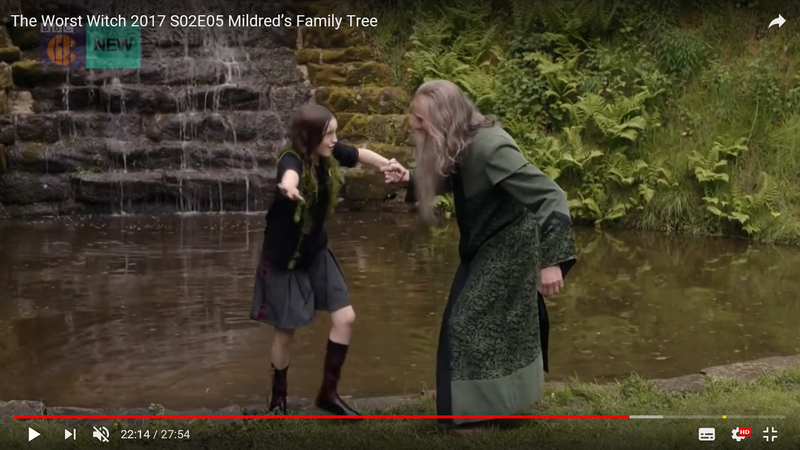 Episode 5 – Mildred’s Family Tree. 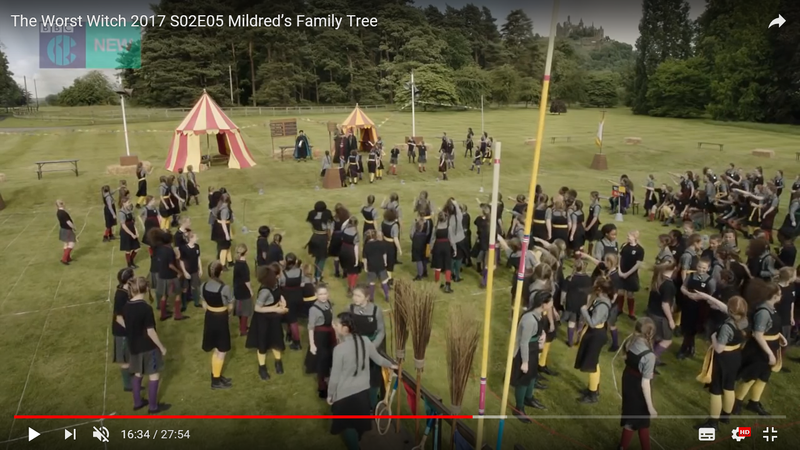 In this episode the school holds their School Sports Day. For this they used the front lawn of Adlington Hall. It was a particularly fresh day and we did feel sorry for some of the girls who were only wearing sports attire in pretty chilly conditions! There are many more episodes to come, including a fabulous Hallo’ween event which made our Great Hall look truly Spooktacular! Watch this space for more episode information and behind the scenes fun facts! !